In a revealing new interview, former Strictly star Louise Redknapp has opened up about her separation from husband Jamie, admitting that while she still loves him, the pair have chosen to live apart. Speaking to Stella magazine, Louise candidly revealed that after 20 years as a stay-at-home mum, she’s determined to finally follow her dreams, admitting she didn’t want to be a ‘Stepford wife’ any more. The star also spoke about the fact that the separation is something she needs to do for her, in order to follow her dreams. And while Louise has very clearly made her decision, some famous faces don’t appear to agree with the path she’s chosen. 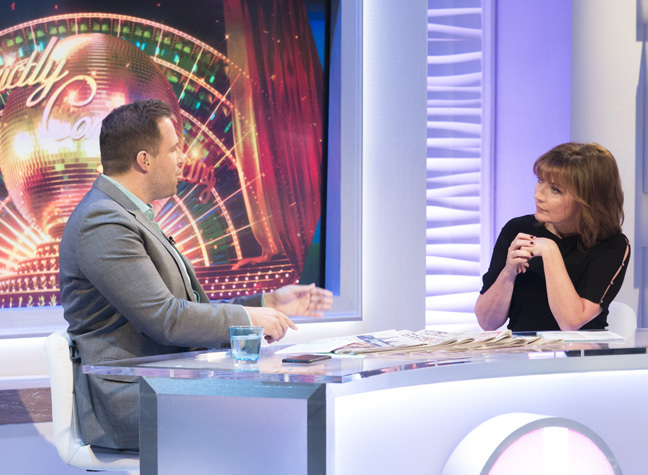 Live on her Monday morning show, Lorraine Kelly confessed her confusion over Louise’s reasons for her split, and asked why she couldn’t have pursued her dreams while staying with husband Jamie. Speaking to entertainment correspondent Dan Wooton, she said, “What I can’t understand, I hear what she’s saying, but surely it’s not one or the other. You can have a career and a family. Lorraine also went on to admit that she understands the need for a work/life balance – but that it’s something she reckons Louise could get without making such a drastic decision. Presenter Lorraine also admitted how “crazy” it is that Louise alluded to Strictly as the reason for her split – given the now-famous ‘Strictly curse’.